I am just trying to create a simple table in LuaLaTex that summarizes an experiment. I needed to use it (LuaLaTex) to typset my document in Times New Roman font. I am using Macbook Pro with OSX El Capitan. I have the latest version of LaTex installed for my OS. You haven't exactly provided a lot of details about the table you wish to create. 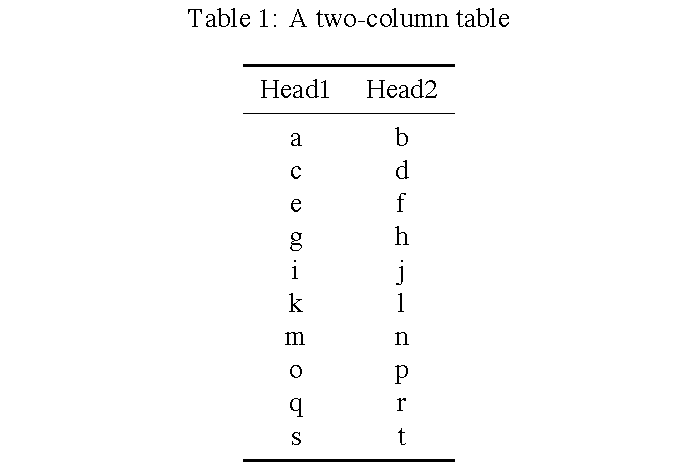 In the following example, a table environment is set up to house a \caption (along with a \label so that the table may be cross-referenced elsewhere in the document) as well as a two-column tabular environment. The macros \toprule, \midrule, and \bottomrule -- all provided by the booktabs package -- are used to draw well-spaced horizontal rules. For more introductory-level information about how to create tables in LaTeX, I would like to suggest you read sections 2.11.6 ("tabular") and 2.12 ("floating bodies") of the The not so Short Introduction to LaTeX2e. The user guide of the booktabs package provides excellent information on how to go about creating professional-looking tables.